Planning To Sell Your Minneapolis Company? Selling a business is a complex, step-by-step procedure, and is best handled with the backing of an adept business advisor. If you’re looking to sell business prospects, the team at Sunbelt Midwest – a reputable division of Sunbelt – is prepared to guide you through each stage of the process. 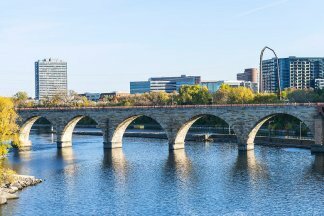 Our reach extends to clients throughout Minnesota – Minneapolis included. For many sellers, confidentiality is a primary concern – one Sunbelt Midwest’s business selling experts are committed to addressing. As certified brokers, discretion is one of our areas of specialty and you can feel secure in our ability to effectively market your business without inviting the attention of competitors, customers or staff. We’ll devise an exclusive advertising solution and match you with one of our millions of buyers currently searching for businesses for sale. Our Complimentary Value Range provides business owners with a better understanding of what their companies are worth. We take the time to learn about clients’ businesses and their individual financial goals. Based on these valuations, our Minneapolis brokers and M & A advisors help clients set fair rates – giving them an edge in today’s markets. If you’ve decided to sell a business, you have one opportunity to close a profitable, well-structured deal. When it comes to helping sellers navigate the waters of sales, mergers, and acquisitions, the brokers at Sunbelt Midwest are the best in the business. Our advisory services will help you avoid any costly, detrimental mistakes, and provide the knowledgeable support you need to successfully sell your business.